Nutritional Supplements have fascinated me since I was a child. 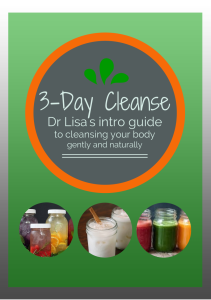 I love the idea of being able to take something natural to assist my body in the healing process. And the technology that’s available now in the nutritional supplement world is mind-blowing. Modern medicine will catch up in about 30 years. . .you’ll see. If these are not specific, your herbal supplement could be useless and a huge waste of money. There are 9 known species of Echinacea, yet only 2 that create the desired therapeutic affect in the body. The most effective is Echinacea Angustafolia. However, this species is very expensive and therefor not widely used in over the counter product lines due to high retail costs that no one would pay for. The second best is Echinacea Purpurea, which is less expensive but it is not quite as effective. The other seven species have not been shown to be beneficial. In my practice, the professional product line I use for Echinacea combines the best of both. They have done extensive testing to formulate the perfect blend of effectiveness and cost effectiveness. The result is an affordable, high quality, proven product that does its job well. The next factor to consider is the component of the plant used as the raw material to make the nutritional supplement. 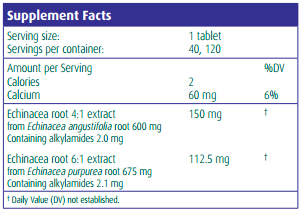 For our example of Echinacea, the magic is contained in the root. But any company can come along, buy the less expensive petals or stems, grind them up, package them into a bottle of pills and sell it as Echinacea. Will it be effective is warding off colds and flus? Probably not. (Actually, I wouldn’t even use the word probably. . .I’d go so far as to just say NO!) But this is what can go on in the nutritional supplement business. That’s why I only use trusted brands and products! Lastly, we’ll look at therapeutic dose. Just like when using medications, if you take too much or too little, you will not achieve the desired result. There are also different recommendations for different stages of an ailment. And yet an entirely different dosage for prevention vs active infection. So not only do you have to KNOW the recommended dosage to administer at the appropriate time, you have to find quality products that can deliver the recommended dosage your body needs. Here’s what I love. . .because the professional lines are sold only through health care professionals who have hopefully been well trained in their usage, they can pack an entire day’s dose into one or two tablets. I’ve seen some over the counter brands where you’d have to take 10-20 pills per day to do the same thing. By now, you may be getting the idea of the difference in quality and potency of professional lines vs over the counter lines of nutritional supplements. But we’re only getting started. Next, let’s look at your safety. I mean, if you’re into nutritional supplements in the first place, I would assume you’d want to put the best quality products in your body. But even more importantly, you wouldn’t expect these “health products” to actually harm you. Well. . .keep reading. Most of the time, my answer goes something like, “Well, that’s up to you. You can use up what you have and see if it works, or we can switch you to something now that I know and trust will work.” But there are a few categories of supplements where my answer is and absolute, “NO!” every time. Fish oils fall into that category, and here’s why. . .bad fish oil not only doesn’t help you but it can actually hurt you. So in practice for my patients, and in my own home for myself and my family, I only use fish oil from companies who exceedingly set the standard for quality and purity in the industry worldwide. It’s not worth the risk. Period. First of all, oils go rancid quickly and easily. It’s important to find a product that is anti-oxidant stabilized to ensure freshness. Rancid fats cause free radical damage to the DNA of your cells. You most likely won’t even know this is happening, but over time, this cellular damage can result in accelerated aging, cancer, weight gain, atherosclerosis, Alzheimer’s, elevated cholesterol and degenerative diseases. . .just to name a few. You also want to make sure the fish source is healthy to start with. Our oceans aren’t as pristine as they once were. Fish live in the water. If the water isn’t clean, neither is the fish. Toxins are stored in fat cells. You consume the fat from the fish in your fish oil supplement. If the fish is toxic, you’ve now just consumed toxic fish oil. Mmmm. And now, those toxin are in the fats that your body is using to make your cells. You end up with toxic cells and a toxic body. “How do we know if our fish oils are pure?” So glad you asked. What I look for in a company is one that uses third party purity testing for at least 250 contaminants on every single batch. Most companies test one in every tenth or twelfth batch produced, and assume that if that batch passed testing, then the other batches should as well. I won’t take that risk. If a company produces one batch per month, let’s say, and they only test once per year, they could be missing toxicity in over 91% of their final products. So not worth it! The other thing I love about the professional supplement line is that they have created multiple formulas with different ratios and sources of omega-3 to omega-6 fats. As we vary the ratios and fish sources, we can more effectively target specific health conditions. There are formulas for heart health that are different than those used for inflammation, mood, brain function, kids. . .and the list goes on. You are just NOT going to find that specificity and variability at Costco or Trader Joes. Sorry. Much like the multiple fish oil formulas offered by professional grade products, another fascinating (at least to me) category is probiotics. Now if you have no idea what that is, it will help to have a little anatomy & physiology lesson. 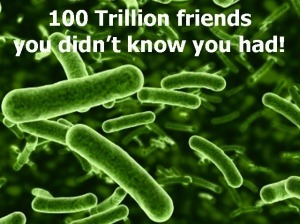 One hundred trillion microorganisms take up residence in your intestines. It is estimated that there are somewhere between 300 to 1000 bacterial species making up what is called your ‘gut flora’. It’s most likely that 99% of these come from 30 to 40 key species that perform certain beneficial functions in your gut. When these bacterial species are killed off by poor diet, antibiotics or other means, what you’re left with is an imbalanced combination of gut flora. Too much “bad” bacteria like E-coli or yeast like Candida, and too few “good” bacteria like acidophilus and bifidus. So when we talk about probiotics, we’re referring to this “good” beneficial bacterial that can be taken to increase certain functions inside the body. 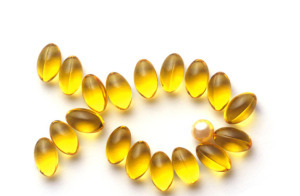 But remember those key points raised about what to look for in herbs or fish oil supplements? Well, probiotics have their own specific criteria for evaluating a quality product, as well as differences between what you can get through a professional product line and what you can pick up over the counter. Remember. . .this is supposedly LIVE BACTERIA you’re buying and ingesting so you better know what you’re getting! Starting with DNA, as previously stated, there are between 300 and 1000 bacterial species making up your gut flora, the average is estimated to be around 500. So, if only 30 to 40 of these species are proven to be beneficial, I’d want to KNOW which strains are actually alive in the product I’m taking and make sure various other strains have not somehow cross-contaminated the mix. Bacteria grow and replicate very rapidly, so the last thing I’d want to do is take a probiotic thinking I’m getting the good guys but accidentally be ingesting the bad ones along with it. That’s a recipe for disaster in the gut! 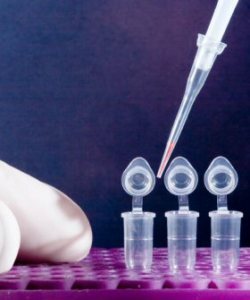 The professional line I use most often in practice for probiotic products is the only one that I know for sure performs DNA testing on every single batch produced. Again, not every 3rd batch or 10th batch, leaving way too much room for error. Every. Single. Batch. There may be other lines out there as committed to that level of purity and efficacy, but I don’t know for sure so I’m just not going there. This is something I will not compromise. Well. . .usually. . . I did use an over-the-counter probiotic once while on my way to Mexico. It did work out well for me, as I was the only one on the trip who did not experience the dreaded Montezuma’s Revenge (a term used to refer to the explosive diarrhea one attempts to avoid while traveling to Mexico). I did later discover that the product I chose had been found to contain contaminated strains of bacteria. Bad news for that over-the-counter line and for the people who took them. Okay, so when you read a probiotic label, you’ll most certainly see a Potency Guarantee. This is referring to the number of (hopefully live) bacteria present in each dose. When I pick up bottles off the health food store shelf, I usually see something along the lines of 5 million to 5 billion CFU’s (colony forming units). That sounds like a lot, right? But when you get into these professional lines, you see 30 billion, 40 billion and up. However, more is not necessarily better. The key, in my opinion, is to look for the LIVE count at expiration, not just at point of production. What you typically find over the counter is a CFU count at the time of production, but a lot can happen from production to ingestion. This bacterial colony is essentially sitting there in a bottle for possibly a year or two, potentially exposed to heat or who-knows-what, and could literally be dead by the time you take it. Last time I checked, ingesting dead contaminated bacteria was not a good idea. To ensure a high potency probiotic, you need one that guarantees that even if it sat on a shelf for 2 years until the expiration date, it would be guaranteed to contain anywhere from 10 to let’s say 40 billion CFU’s at expiration. And then hope they’re telling you the truth. Or, just use the brands you know and trust! Now this last point is where it gets really good. Gastrointestinal complaints and disorders come in all sorts. 5 people can have the same symptoms (gas, intestinal pain, bloating, constipation, etc.) but the cause of their problems may all be different and may all require a different blend of probiotic bacterial strains. So, having access to multiple formulas created specifically for different imbalances can be beyond helpful. Did you know there are different benefits in a formula for an acute condition versus a chronic intestinal condition? In much the same way, the most effective formula you might take during or after a round of antibiotics may contain entirely different strains than if you were dealing with chronic sinusitis or a vaginal yeast infection. But if you’re getting your probiotics over-the-counter, you may not find nearly as specific of a range of targeted applications. And that could make a huge difference in whether or not you get the results you’re looking for. So what have we learned? The bottom line comes down to this: Do your research. Know what you’re buying. Please stop wasting your money on poor quality supplements that don’t give you desired results. Please? Please!! This is what I tell my patients. . .the difference between most products you can get over-the-counter compared to the quality, effectiveness and specificity of what you get through health care practitioners who use professional product lines is like the difference between traveling in a horse-and-buggy versus taking a rocket ship. Sure it costs a little more, but you get so much more for your money, you get where you’re going so much faster, and the ride is a lot more fun! If you’ve failed at your attempt to use nutritional supplements, or you’re looking for the highest quality and potency you can find, contact a professional. We have access to so much more than is available off the shelf. We’ve sorted through the information, done the research for you, and have the know-how to help you reach your health goals in the shortest easiest time possible. These statements have not been evaluated by the Food and Drug Administration. These products are not intended to diagnose, treat, cure, or prevent any disease. These suggestions are not intended to replace medical care.